The NEBOSH International Certificate in Fire Safety and Risk Management course covers the principles of fire and explosion, causes and prevention of fires, fire protection in buildings and ensuring the safety of people in the event of fire. The content is designed to equip those studying it to undertake fire risk assessments in most, low risk workplaces. The syllabus is mapped to International standards and good practice from organisations such as the International Labour Organization (ILO), National Fire Protection Association (NFPA), International Code Council (ICC) and the Confederation of Fire Protection Association Europe (CFPA-Europe). The practical element of the course ensures that participants can carry out, unaided, a fire risk assessment and prepare a recommendations report for management. No previous health and safety or fire safety knowledge is required. Assessment: Participants are required to complete 2 written papers as well as a practical element. The examinations are offered and must be answered, in English and the short report must also be in English. NEBOSH recommends that candidates should reach the equivalent of a scoring of 6.0 or higher under the International English Language Testing System (IELTS). The NEBOSH Fire Safety and Risk Management Certificate is designed to equip duty holders to help their organisations to meet the legal duties placed upon them by the Regulatory Reform. The NEBOSH International Fire Certificate is intended for people throughout the world with fire safety responsibilities at work, particularly those tasked with carrying our fire risk assessments and preventing loss of life and property. Crucially, the practical element of the course also ensures that participants can carry out, unaided, a fire risk assessment and prepare a recommendations report for management. Unit IGC1 is common to the NEBOSH International General Certificate in Occupational Health & Safety. Any attendees who have already successfully passed IGC1 within the previous five years do not need to re-sit this unit or its assessment . 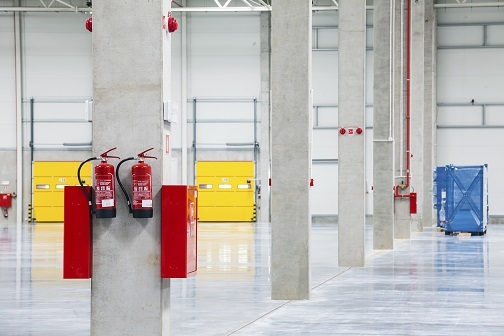 This is a practical fire safety assessment of a workplace. Delegates must achieve the pass standard in in the practical assessment to be awarded the International Certificate.